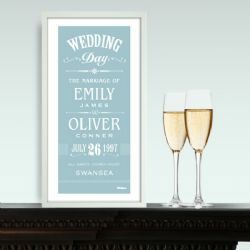 Celebrate in style. Whatever the special occasion - wedding, civil ceremony, anniversary, or new baby - our bespoke special occasion artwork marks it in style. 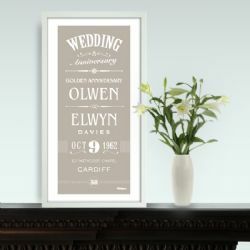 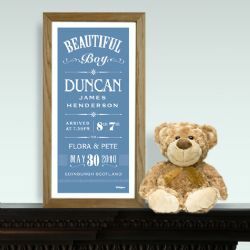 Our unique design allows you to specify the names, dates, locations etc that you want and then we present them in a beautiful fine art print to keep forever.